A TBS 60th anniversary commemorative project, �gThe Emperor�fs Cook�h depicts the life of Tokuzo Akiyama, head chef of the Imperial Household Ministry�fs Imperial Cuisine Division during the Taisho (1912-1926) and early Showa (1926-1989) eras. 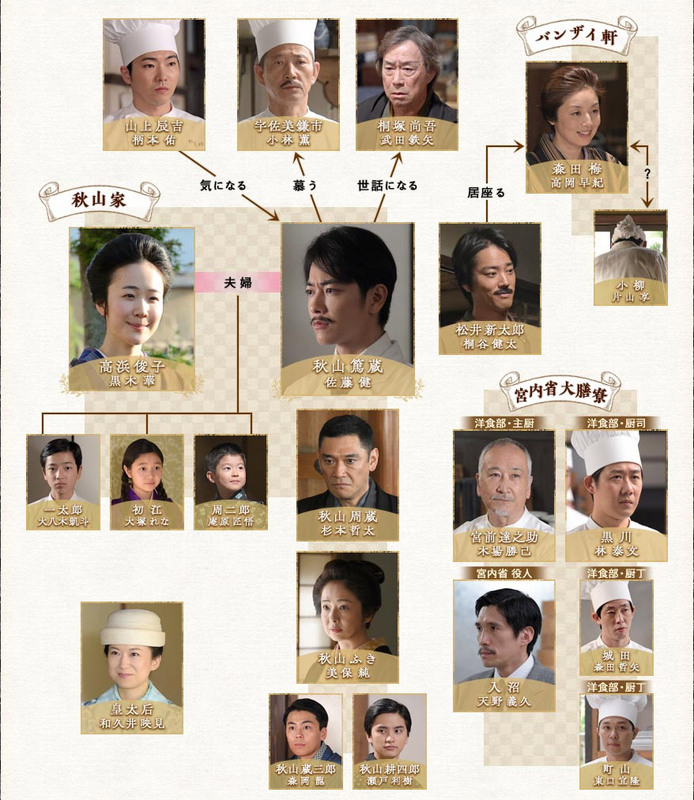 Based on a true story and book by Hisahide Sugimori �gThe Emperor�fs Cook�h follows the life of country boy, Akiyama, who arrives in Tokyo in pursuit of the culinary arts. Driven by a deep love for his wife and family, a great reverence for his teachers, strong reliance on friends and an abiding love for cooking, Akiyama eventually rises to become �gthe Emperor�fs cook�h. Producer Akihito Ishimaru, director Yuichiro Hirakawa and teleplay writer Yoshiko Morishita form the core of an elite production staff responsible for such seminal works as JIN (�f09), Crying Out Love in the Center of the World (�f04), Into the White Night (�f06) and Tonbi (�f12), spinning this grand romance and quintessential human drama full of laughter and tears, struggle and triumph. This drama haunted me (in a very good way) for weeks after finishing it. I can say this is one of the best dramas I've seen ever. I love period dramas. And I love dramas about food. Sato Takeru is one handsome guy with very good acting skills. First and middle episodes were good then towards the end it faded a bit for me, which led to a lower score. If the last few episodes were on par with the first few then it would have have rated in a 9. Still a good drama which I enjoyed! Takeru Sato great as Tokuzo. Good work by the supporting cast as well especially Ryohei Suzuki as Shutaro. 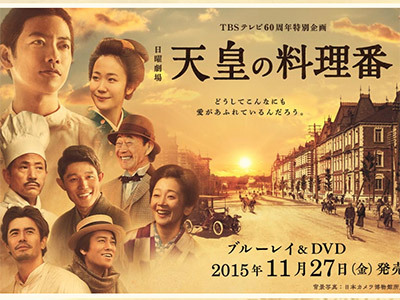 Based on the true story of Akiyama Tokuzō, the The Emperor's Chef. Fun, addictive and interesting. One of the best dramas I've seen.